Rats are more than just mice on steroids. They have excellent balance, can climb very well and are very good swimmers. They also have extraordinary sense of hearing, taste, touch, and smell. Like mice they are commensal rodents. Unlike mice they usually nest in burrows in places close to ground level such as under sidewalks, low shrubbery, sheds and parking lots. They tend to live close to a steady food supply near dumpsters, barns or stables and trashcans and tend to enter a structure through its lower level. 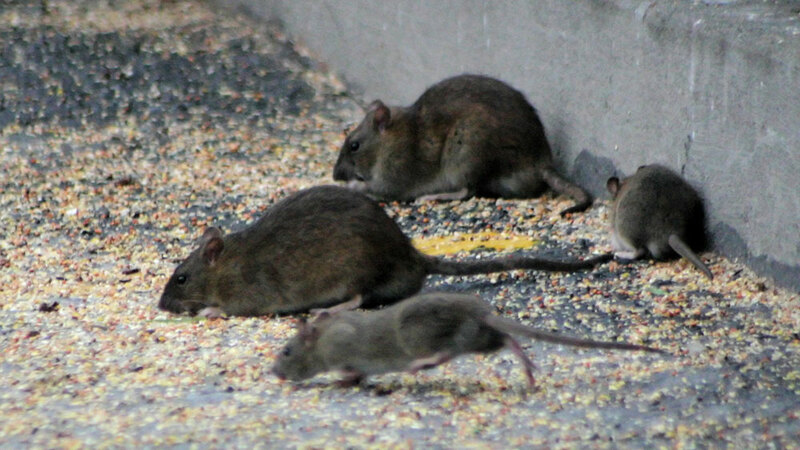 Left unchecked rats can contaminate food, cause fire damage by gnawing on electrical and communications wiring and spread serious diseases. Our experts have formulated a seamless treatment protocol that utilizes multiple treatment methods to eliminate the problem in no time! We also include a free property analysis where we would identify potential rodent entry points in the building, so you can avoid a problem in the future. Our technicians are highly trained, licensed and ensured professionals that are always mindful of the wellbeing of your children, pets and property. We use the most current, science driven, targeted and effective strategies to safely meet all your pest control needs. We first inspect the premises, determine the scope and extent of the problem, propose the best treatment plan and if necessary only use the lowest risk pesticides. We take the time to discuss each step of the treatment process with you, so you can feel comfortable knowing what we are doing and what to expect. We make the ever-complex world of pest control simple. © Copyright Guardian Pest Control, Inc.